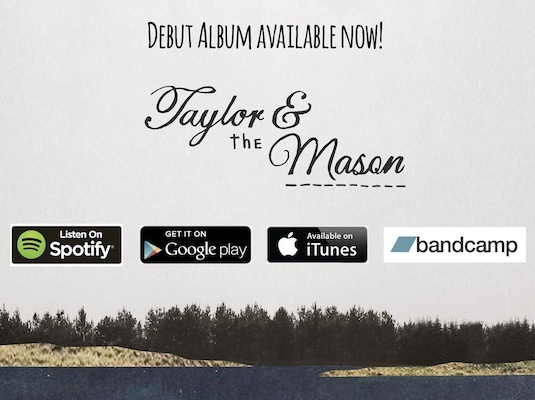 Taylor & the Mason are an acoustic singer/songwriter duo from Manchester with a penchant for good harmonies, playing guitars... and the odd glass of gin. Long standing features of Manchester's music circuit, Taylor & the Mason (Becky Taylor and Sally Mason) have created an energetic and distinctive acoustic live act. This past year has seen them taking on larger venues with their full eight piece band made up of their favourite musicians; Lorna Blundell (drums) Stephen Sarsen (Bass) Tanah Stevens (Viola) Bob Goodman (Violin) Liz Pauline (Keys & B/V) and Rose Niland (B/V). "They're a real joy to watch, their infectious energy sealing the deal for anyone not already utterly charmed by the disarming nature of the songs." "Britain has been waiting for a top class female duo. While there are a few contenders, such as Let's Eat Grandma and Sound of the Sirens, I don't think we've had one since the days of Shakespears Sister and Alisha's Attic. There's something about these two that tells me they have the ability to push on and challenge themselves to make a serious breakthrough if they really want to."